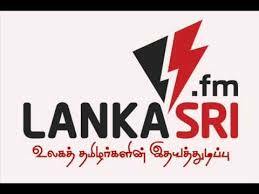 Lankasri FM Sri Lanka Radio Live Streaming Online . Listen over 50 Sri lanka radio stations Online . Enjoy Live Stream of Sri lanka music news 24 by 7 Online . It Started on March 9, 2010 . It is Heartbeat of World Tamils .